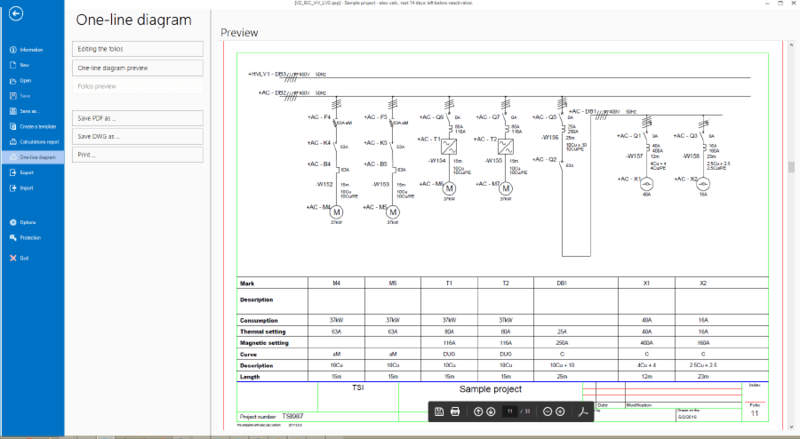 elec calc™ enables to export the one-line diagram of the electrical installation either as a drawing or in the form of folios. 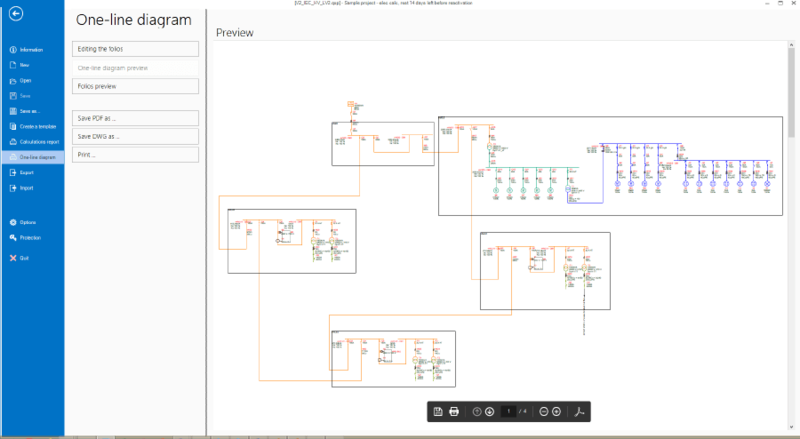 Each page of the installation to be exported is displayed immediately in a PDF viewer. It is then possible to export to PDF (single file with n pages) or DWG format (as many files as pages). The user can then modify them with any compatible CAD software. The folios are then displayed immediately in a PDF viewer. It is then possible to export to PDF (single file with 1 sheet per page) or DWG format (as many files as folios). The user can then modify them with any compatible CAD software.